May | 2017 | What's Peeps Thinking About Now? It's Probably Random! Today’s read may not be for the faint of heart. Trust me, I’m talking about myself. As I said many times, sharing my thoughts and writing is therapeutic for me. I sure hope it works! I’ve been away from my loved ones and my friends in the Quad Cities for over two weeks now. Except for people at work, I don’t know a soul here. Luckily, getting unpacked, decorating my apartment, and working and training on a newer, more advanced weather system is keeping me busy and saving me from true loneliness. The Panama City Marina is short walk from work and offers amazing sunset views over the Bay. I still haven’t seen the Gulf of Mexico or the beaches yet. My apartment complex is nice and gives me many amazing photo opportunities. As I always say, be careful for what you wish for in life. When I found my place, I was over the moon at having a “duck pond” off my balcony. It’s been fun watching the ducks and the ducklings. I’ve seen them mate or fight (not sure which), follow the ice cream truck, and just do duck things. Since I’m a meteorologist and not an ornithologist, I could be wrong here, but I think these ducks are pretty simple-minded. They have no sense of the dangers that await them here at the complex and the sister property next door. I’m now seeing the seedy underside of the convergence of wildlife and human life and the beauty of having the nature at my disposal is becoming depressing as hell! In just my first twelve days here, I’ve saw six dead ducks! The other evening, I was on a walk during my break and I came upon a duck (not a baby, but not fully grown) that had been hit and killed by a car. Having nothing to move it with, I picked it up with my bare fingers and moved it off the pavement! And, then last Wednesday, I saw two grown ones dead. Of the six ducks, one duckling likely drown, but four of them were definitely hit by a car. It saddens me that people living here are so into their own little world, distracted by their phones or whatever, to have no regard for the ducks walking around the complex — including the parking lots. When I was a kid, before I became a “tree hugger” and a softie, I watched “Mutual of Omaha’s Wild Kingdom” and didn’t think anything about the circle of life — eat or be eaten. We do it every day with meat on our plates! As sad as it is seeing the dead ducks, this photo woke me up. As disheartening as it was witnessing that, at least that poor duck was serving a purpose in life. It wasn’t just picked up by the maintenance men and thrown in the trash! I’m ready to trade in the ducks for the deer back home that roamed through the ravine and munched on our hosta, plants, and trees! I guess it’s time to update my adventures after almost two weeks in Panama City, Florida. I’m still finding beauty here and I haven’t even ventured outside of the city! This is a reflection in a pond (swamp) in the complex! I’m still getting settled in and I promise once every box is emptied, put away, and extra stuff is re-packed, I’ll decorate my walls and post pictures. As I empty those boxes and take all the newspaper and cardboard boxes to the trash compactor (or empty the last of the 2-liter bottles of soda I bought), much to my chagrin, I’m reminded of the lack of recycling! Actually, the complex has two trash compactors and one has been broken since I arrived. Here’s a novel idea — start a recycling program and that’ll cut back on waste and the trash compactors won’t have to work as hard! TOO MANY, I THINK SO! I’ve decided that no matter how fun a shirt looks, I’m not buying another one! What I think I’m going to do is not wash t-shirts until I wear every one of them! Do you get into a rut of wearing your favorites? I do. Some of these have not even been worn. Also, look at the top left. Most of my daily wear — pajama bottoms — are flannel! Houston, we have a problem for Florida heat and humidity ! I love my new pantry, but doesn’t it look a little too much like “Sleeping With The Enemy”? Maybe I need to pull a Julia Roberts and knock something over just because I can! The other day, I wore flip flops on a walk and a kid laughed at me. He said, “Old man, you don’t wear socks with flip flops”! There’s so much for me to learn about Florida living! Okay, for the record, I didn’t really wear socks with flip flops and no kid laughed at me! 🙂 However, I did get a blister on the top of my foot from wearing them on a walk, so I’ll be wearing tennis shoes now! As I was working in the kitchen, I looked down at the doors under the sink and this is what I saw. This is seriously on the outside on the door! Couldn’t the complex tell me there’s a fire extinguisher under my sink instead of posting a sign on the door? It doesn’t exactly match my decor! I know every time I walk into the kitchen, I’ll stare down at it and say “WTF”! If I ever have Mediacom again, I promise not to complain because for the first week here, my Comcast cable sucked! My cable and internet was turned on last Sunday (May 7th) around noon. It worked some that evening and then it was off for much of the week. Four technicians have been out now and it’s finally working now. I’ve spent more time on the phone with agents troubleshooting their crappy services than I have watching cable. Absolutely horrible! What makes it worse is that I’ve already gotten a bill for almost $200! So far, I’ve only watched two episodes of “Madam Secretary” on it. I hope I find something else to watch soon! The good news is that the internet works much better than Mediacom! As you know, I love Redbox and I finally rented a movie this past weekend. I saw the last of nine Best Picture nominees for this year’s Oscars. “Hidden Figures” was incredible. It’s about the NASA’s space program and the contributions of Katherine Johnson (Taraji P. Henson), Dorothy Vaughan (Octavia Spencer), and Mary Jackson (Janelle Monae). While Spencer was rightfully nominated for Best Supporting Actress, I think that Henson should have been nominated, too. Her post-drenched rain scene alone was award worthy and tear jerking! What’s heartbreaking 50 years later is the racism of the 1960s and the whole “colored this” mentality. Mind boggling! And, what’s even sadder is that that BS still exists today. People, open your mind and your heart and if that’s hard, don’t speak. Just think a little more! I agree! If I ever find myself single again, I’ll be open for fine in every color!!!!!!!!!!! I make my Panama City television debut Friday evening at 5, 6, and 10. The chief has the night off. I’m also working the evening shows this weekend and, again, next Tuesday! A 12-day work stretch! What a way to break in the new guy! I’ll likely start my regular morning and midday routine in early June! Hello, my friends! I hope your week is off to a good start. I got a lot done Monday after my first weekend of not living in the Quad Cities in more than a decade and my first as an official Florida resident. I left Friday morning at 6 a.m. and stopped at Patti’s 1880s in Grand Rivers, Kentucky, for a leisurely two-hour lunch and visit with my friend since childhood, Steve. I had garlic shrimp alfredo pasta and “Boo Boo Pie” for dessert (“a rich brownie type pie with a gooey, coconut macaroon filling topped with whipped cream and a cherry”). I witnessed a horrible 3-car accident in western Kentucky Friday afternoon and I had three idiots try to cut me off because they were in such a hurry. I can see why Mario Andrettis do it, but in front of an inexperienced driver of a 15-foot U-Haul towing a car! Really? On Friday, I drove 950 miles from Moline, Illinois, to Dothan, Alabama. I definitely got what I paid for with the hotel. But, after being up for 19.5 hours and driving all but three hours of that time, I didn’t care about the star rating or the loud party animals. The free breakfast was good, but I quickly ate and hit the road. The final 80 miles from Dothan, Alabama, to Panama City, Florida on U.S. Route 231 Saturday morning was very enjoyable. I saw cow pastures, many peanut and produce stands, a bear crossing sign, and other fun stuff. It was also fun to see the pine trees transition to palm trees closer to Panama City. Two movers met me at my apartment to help move my stuff in and the only thing I lost was my computer desk. One side of the “fake wood” broke. Ironically, it sat in my bedroom at my old house for eight years and never had a computer on it! My washer and dryer was delivered Saturday evening, my cable and internet was hooked up Sunday, and the gas was turned on Monday morning. With no gas, I had to take two cold showers, but it was exhilarating. Good thing it was in the 80s during the day and it was Florida and not Alaska. My apartment is spacious, but very awkwardly designed. I had a hard time trying to figure out the logistics of the furniture for the living room and dining room. I’ll post pictures when I’m done. I still have a long way to go. After sleeping two nights on the couch, I got my bed set up and it felt nice to sleep in. The apartment complex grounds are very cool. Right off my balcony is a “duck pond”. There are ducks everywhere, along with turtles, and, at least, two large fish — one that looks like a brown carp and one is white, possibly a koi? I witnessed two funny things Saturday. These two ducks got into a loud disturbance in the water. I don’t know if it was a mating ritual gone bad or the two were fighting over another duck? And, the ice cream truck drove through the complex and a parade of ducks was walking down the middle of the parking lot behind it! Maybe they were following because of that annoying and creepy ice cream truck music? I did a lot of running around this past weekend to buy things to stock the kitchen and to replace some things I simply forgot to pack. I’m not a shopper, but I hit about a dozen stores. (1) It was great having a Piggly Wiggly again. It reminds me so much of my childhood in the South! I found some good bargains there. Publix was a fun store and I saw a Tres Leches cake that looked divine for when I have company (hint hint Tammy and Ray), and Winn Dixie was nice. I’ll probably buy most of my groceries from Piggly Wiggly and Walmart. (2) I was devastated to learn that my complex DOES NOT recycle. But, from the chats I had around town, recycling is not big here. Of Florida’s 67 counties, I learned that only twenty have a recycling rate of 50% or higher. Bay County, where I now live, is not one of those 20! (3) With that being said, I’ll only buy soda for work now since the 2-liter bottles go in the trash! I’ll start drinking more water and tea (or fountain soda). (4) I’ve now heard two different unflattering nicknames for this area, but I’m not going to let either of them cloud my judgment of the people or where I now live. If people treat me with respect, I’ll do the same to them. Well, I have a tendency to treat mean people nicer than I should. 🙂 Oh, the names were “Redneck Riviera” and “L.A.” (Lower Alabama)! (5) On Saturday, I saw this very pro-Trump car and I don’t know if they could have found another place for a sticker! While Iowa went red in the last presidential election and Illinois stayed blue, I definitely live in a “red state” and county now. I thought about taking my rainbow Hillary sticker off my car before I moved here, but I got busy and never did it. Now, I’m glad I didn’t! (6) I loved listening to Sunny 98.5 FM on my way into town. It’s the equivalent to Mix 96 in the Quad Cities! (7) Since I didn’t get around to unpacking my kitchen, I bought a garlic-rosemary rotisserie chicken Saturday night and I’ve been eating that for three days now. As I stated in my last blog, living alone, I don’t eat out a lot. Since I love to cook, I can’t wait to make my first meal Tuesday. Next weekend, my apartment should be unpacked and mostly decorated. So, I plan on treating myself to Chinese buffet or Pizza Hut buffet next Saturday and hitting the beaches for the first time on Sunday! (8) Finally, I start training at work this week. I’m not sure when I’ll go on the air for the first time. As soon as I have a new work Facebook page, I’ll let you know. Thanks for checking out my thoughts after my first weekend in Panama City. I’ll have another one soon with pictures of my apartment. Yesterday, I checked into work for a couple of hours and saw the water for the first time at the Panama City Marina! Quad Cities, it’s been fun! After 11.5 years, I left bright and early this morning to start my 1,000-mile journey to Panama City, Florida, to start the next chapter of my life. I’m stopping along the way in Grand Rivers, Kentucky, to have lunch with one of my best friends, Steve, at one of my favorite restaurants, Patti’s 1880’s Settlement! If you’ve never heard of it and you’re traveling through Land Between The Lakes in western Kentucky, you have to stop there! On Thursday, I talked about my local television career. Today, it’s all about how the Quad Cities enriched my life and, hopefully, made me a better person. First off, social media made me more accessible to my friends. It also made loyal viewers more connected to me and my life. It’s hard to believe that Miss ABBA, my golden retriever, and I arrived in Moline, Illinois, from Salisbury, Maryland, the week of Thanksgiving 2005 when I accepted the weekend meteorologist and weekday reporter position at the ABC affiliate. After seven years there, I moved to WHBF for a little over four years. When ABBA and I moved here, I was still earning my meteorology certification while working full-time. We’d go on long walks to Karstens Park and sit for hours. I’d be reading and studying and she happily watched the world go by. She was always hoping that every person that walked by would stop and love on her. She was a golden retriever, after all! I love to cook and when I moved here, I ate most of my meals at home. But, when my sister Tammy or “Mom” (Betty) visited the Quad Cities, I enjoyed going out to eat. Bishop’s Buffet in South Park Mall in Moline was one of my favorites. As you know, I love buffets and even though it was served cafeteria style, it was still a buffet and it was incredible. I was saddened when they closed the doors. Along with Bishops, I loved Panda Buffet in Moline, which is now Osaka Buffet. I got to eat there once more yesterday! Where else can you have tasty Chinese food and great sushi at such a reasonable price! I’ll truly miss Osaka Buffet, but I know Panama City will have something similar to make me happy. But, since I’m sharing my memories of the Quad Cities and some of you are newer friends, I have more to tell. Ray and I met in February 2009 and our first lunch date was at Exotic Thai in Moline. I had pumpkin curry and each anniversary of that date we went back there and I had the same thing each time! Once we got past that date, I invited Ray over for dinner and made him Shrimp Scampi, which was healthier than my comfort food staple, Chicken a la King with mashed potatoes! I still make Shrimp Scampi, but I’ve now mastered an incredible Shrimp Ceviche! I’ll never forget this funny story from that first dinner date. While he was cooking, Miss ABBA was on the linoleum floor waiting for him to share with her or drop something. 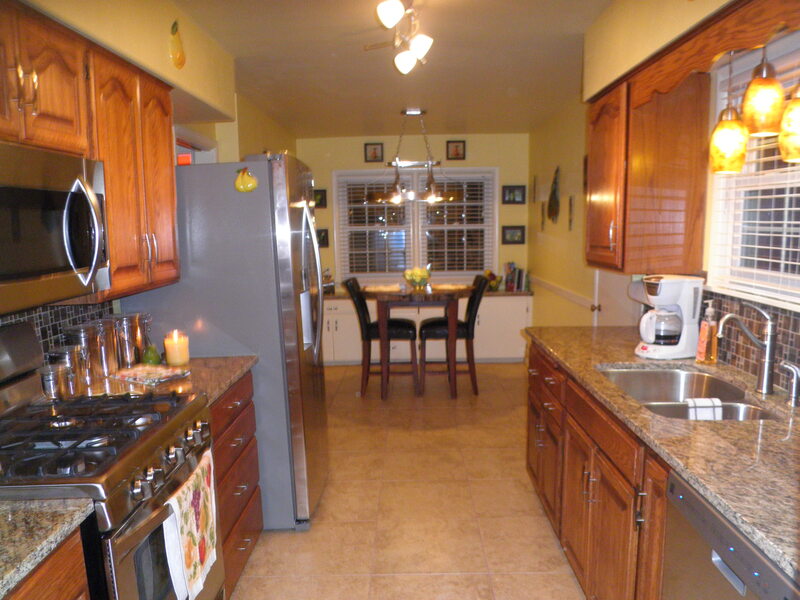 Since we both love to cook, the second big project after I moved in was to renovate the kitchen and we were very pleased with the final project in the summer of 2012. I’m truly going to miss our kitchen! We’ve gone to many concerts over the past eight years: Madonna (twice), Lady Gaga (three times), Reba (three times), Britney Spears, Elton John, Bette Midler, Olivia Newton-John, Shania Twain, Duran Duran, Janet Jackson, Scissor Sisters, Michael Buble, Josh Groban, the Dixie Chicks, Erasure, Enrique Iglesias, Pitbull (twice), Kesha, Carly Rae Jepsen, The Band Perry, Ellie Goulding, and more. But, our first concert together in the summer of 2009 was Keith Urban and pre-megastar Taylor Swift at the iWireless Center in Moline! Before the Quad Cities, my travel was confined to North America: Nashville (TN), Louisville (KY), Houston (TX), Palm Springs (CA), Las Vegas (NV), Niagara Falls (NY), and Cancun (Mexico). Once I met Ray, we started traveling more domestically. 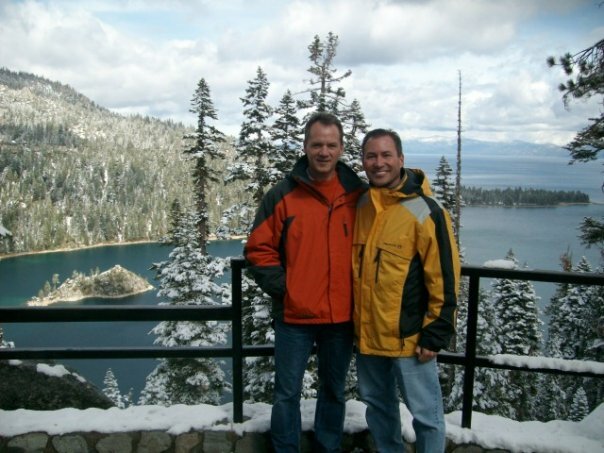 Our first trip together was to Reno and Lake Tahoe, Nevada, when I accompanied him to a conference. That was in the fall of 2009 and I was so excited when an October snow dropped several inches overnight to make Lake Tahoe even more breathtaking. Since then, I’ve gone along with him to New Orleans (LA), Houston, Indianapolis (IN), Ottawa (Ontario, Canada), San Francisco (CA), Anchorage (AK), and Atlanta (GA). And, for fun, we’ve gone to New York City and to Savannah (GA) and Charleston (SC) on the Atlanta Trip. For his 50th birthday, we decided to go big and I got to get a passport for the first time. Ray chose a cruise on the Danube River in Europe and we got to see Bratislava (above), Austria, and Germany. Although it was Ray’s celebration and he chose the location, I convinced him to fly into Zurich, Switzerland, since we were so close. I’ve always wanted to visit there and it was one of the most beautiful places I’ve ever seen. We ended up going to a grocery and getting cheeses, breads, dessert, and wines and it was a much more intimate and enjoyable dining experience. For my 50th birthday celebration a year later, in 2014, I chose to go to Tel Aviv, Israel, a mystical and stunning place I’ve always wanted to go. The connecting flight was in Paris, France, so we decided to spend three nights in Paris since we were already there and four night in Tel Aviv. I actually turned 50 years old while sipping champagne stage side at the Moulin Rouge show. From there, it was on to the beautiful Tel Aviv on the Mediterranean Sea. The trip was so magical. Even though tensions kept us from visiting the holy city of Jerusalem, we did walk to Jaffa — the oldest part of Tel Aviv (about 3,500 years old). You know how much I love food and the morning Israeli breakfast at our hotel, Prima City Hotel, was very tasty. However, my favorite meal ever was at בני-הדייג, which translates to Benny The Fisherman, right on the Mediterranean Port. What you see here is the equivalent of their “starters” — fifteen of them, including the bread basket! This was brought out before our entrees! And, last spring, we went to China. While I’d never have to go back again, if you ever get a chance to go, do it. While we saw many fun things including the Great Wall, the Terracotta Army soldiers, and much more, my favorite part was at the end — Shanghai! Why did I deviate from the Quad Cities to food and travel elsewhere? If it wasn’t for my time here, I may not have gotten to experience all of those other things. One more thing and then I’ll close with a few more Quad Cities thoughts. I shared my favorite restaurant (Patti’s 1880s Settlement) and my favorite meal (בני-הדייג — Benny the Fisherman). Since you know I love lists and rankings, my favorite entree was in Atlanta last September at Tavernpoint — Sonoran Salmon (avocado soup, goat cheese-black bean cake, crema, pico). And, my favorite brunch or buffet is Wicked Spoon at the Cosmopolitan in Las Vegas! Now, back to the Quad Cities. I’m going to miss Wise Guys Pizza in Davenport. Their boneless chicken wings are superb and their dessert pizzas (cherry, apple, and cinnamon crumb) are not to be missed. I always eat more dessert pizza than the others. I’ll miss the mimosa brunches at the Bix Bistro and Thunder Bay and the weekend crab legs at Jumer’s. However, while I’ll miss my Lotus Flower slot machine, I won’t miss leaving my $$$ with the casino! Seriously, enough about food. I’ve gained five pounds writing this. When I first moved here, I started working to promote the LGBT community in the Quad Cities. I was very impressed with the work that Wendy Kelly and Thea Hansen Bettis were doing with “The Project of the Quad Cities”. This is an amazing group that provides HIV testing and services to those with HIV/AIDS. While I’m not an “organized religion” person, a great alternative and welcoming group is Reverend Rich Hendricks and the Metropolitan Community Church of the Quad Cities. Rich, thank you for all that you do for the community. It’s been a pleasure standing along side you in the fight for love and no hate! Also, to Rich, to those who fought for us, and the Iowa judges that brought “marriage equality” to Iowa and the Midwest before the Supreme Court ruling in 2015 that allowed me to get married in September 2011, thank you! Finally, since all of you know how much Miss ABBA meant to me, I have to say a special thank you to Dr. Thomas Greiner and his wonderful wife, Pamela, and all of the great people at Oak Knoll Animal Hospital in Moline. Miss ABBA always thought going to the vet was a fun time. Even with shots, she still socialized and had a blast. 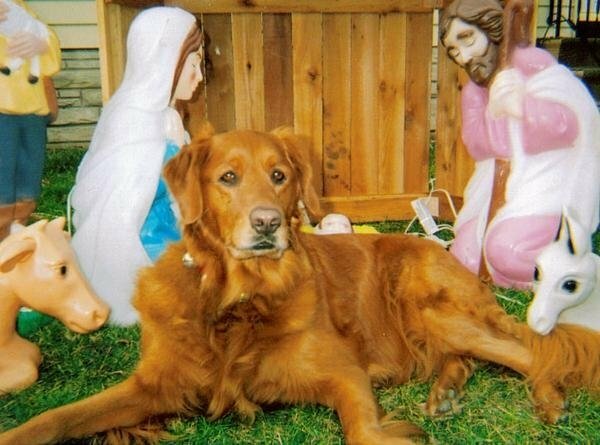 You were there for us for all of the fun times and even the dark day when Miss ABBA crossed the “rainbow bridge”. Thank you for everything and enjoy retirement and traveling! My friends, you’ve been amazing over the past 11.5 years and I hope you stay in touch across the miles. I know you’re probably not interested in Florida weather, but once I get my work page set up, feel free to “like” it and follow me. Otherwise, I know most of us will stay in touch personally.